When asked ‘Why a girl’s school?’, the three of us realised that this question had never really crossed our minds. Having spent all of our high school education at Strathcona, we become accustomed to the privileges of life in this learning environment. Elaborating on this, we believe that one of the biggest benefits of attending an all-girls schools is the ability to be ourselves. Over the years we’ve gained confidence from the safe, accepting and respectful atmosphere that Strathcona provides. As a result of this we have been able to build lifelong friendships with our peers and develop a close bond with our teachers. The community at our school also inspires each and every one us to challenge our learning, and break education stereotypes. We are, in particular, so lucky to go to a school that offers such great opportunities, especially with an incredible STEM focus, a wide variety of sports teams and co-curricular activities, and many platforms that enable us to channel our creative energy, including arts and music programs. Here we are fortunate to be provided with opportunities that only a girl’s school could provide, and we are also incredibly lucky to be surrounded by such strong women in leadership. The environment that Strathcona provides encourages and challenges each and every one of us at Strathcona to feel empowered to stand up for what we believe in. Being at an all-girls school, if nothing else, has equipped us with the confidence, intelligence and communication skills that we believe are vital in everyday life. The three of us are so excited to take on our own leadership roles, and we each hope that our leadership in the school will contribute to this positive learning environment, and that we will eventually empower the younger students to be leaders themselves. 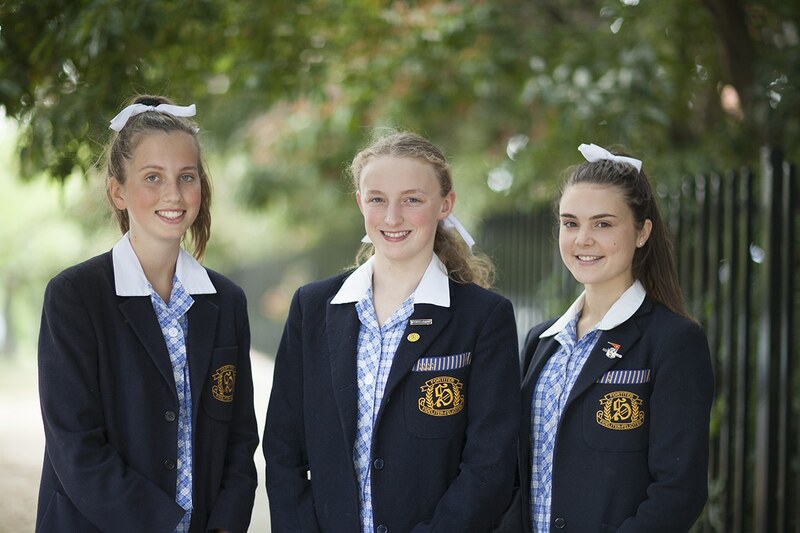 The amazing example provided by the 2018 School Captains makes our job of matching their efforts that much harder – but after five years at an all-girls school, all three of us know that the community and skills that Strathcona has provided prepares us for the challenges that we look forward to facing.